This page is for information about Elizabeth Clare Prophet (1939-2009), spiritual teacher and founder of Church Universal and Triumphant. As her daughter, co-author and former legal guardian, as well as a former minister in her church, I present my insights into her life, character and teachings, along with historical documents of interest. Although I am now working as a scholar of religion, and not affiliated with any religious group, I feel a responsibility to provide information for those who have been touched by her work, whether they are current or former members of the church, or just people who have read her books. 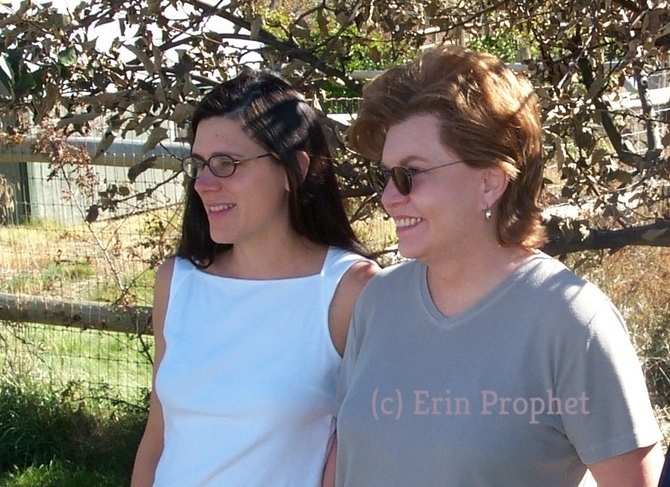 My mother was both prolific and controversial, and since my book Prophet’s Daughter came out in 2009, I have found myself the recipient of many questions about her which were not able to be addressed in the book. Some involve the church’s theology and way of life, and especially how its teachings were applied at the church’s headquarters, among staff and close followers. I intend to address those questions through this page, as I am able. I have realized that I cannot satisfy everyone. Although my book was highly critical of my mother’s decision-making process and management style, as well as skeptical about many of her teachings, some of those who feel they were hurt by her have criticized me for not having condemned her more thoroughly. And many of those who were helped or healed by her work have felt betrayed that I have added to the criticisms already leveled against her in the media and by former members, in the process revealing private information about her life. 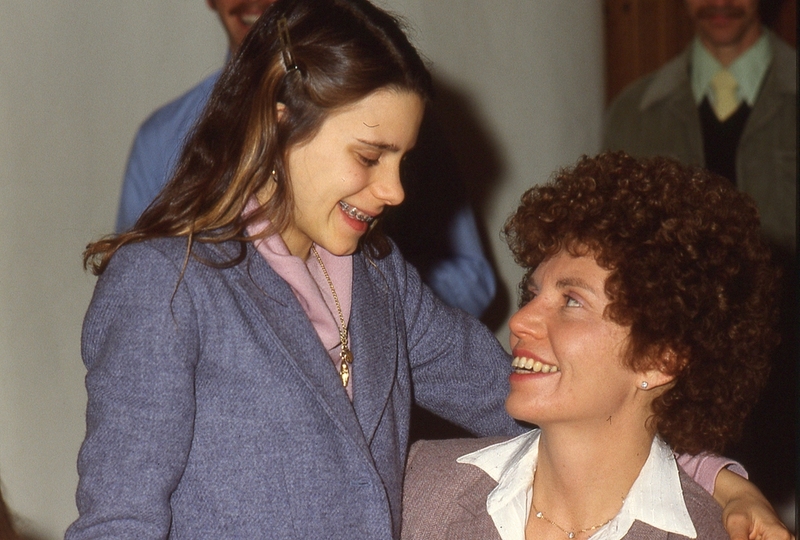 Each person’s experience with my mother was personal and reflects not only her actions but also the individual’s own mindset and boundaries. I believe that my parents set out with good intentions and that they made a positive difference in the lives of many, particularly those who felt they had reached a dead end with traditional religions. At the same time, they and their close followers created a system that could be harsh to those who had made significant sacrifices to join its inner circles, and cruel to those who suddenly became outsiders, whether through being expelled or leaving voluntarily. I made some attempts to change this system, ultimately deciding that I could not work within it. At the same time, I think that the church is a religion like any other, which meets people’s needs. I think it is counterproductive to try to change a religion by ridiculing its teachings or questioning its legitimacy. Its legitimacy is the fact that it exists and people follow it. Nevertheless, religions can and should change when their practices are harmful to their followers—sadly, this often takes much longer than it should. I hope that my mother’s church will take seriously the weaknesses which I have revealed as it moves forward into the future. I am often asked about my mother’s many publications and whether they reflect her own work. Since her death in 2009, books have continued to be published by the church under her name. These represent the church staff continuing to write and edit books using transcripts of her lectures and dictations. This is a process that had gone on for many years, under her supervision, in which a team of editorial assistants would proofread and annotate her spoken dictations and provide supplementary research for the published versions of her lectures, many of which were also compiled with extensive research assistance. However, after the year 2000, she lost the ability to read and write. Even though she was alive, she suffered from dementia, and any publications produced after that year cannot be said to have her review and approval. I was deeply involved in the production of much of her work between 1981 and 1997, and I will be providing background on some of those publications in the future. I hope at some point to more fully explain my parents’ dictations, and how I can on the one hand perceive them as sources of inspiration, healing and personal empowerment for many, and yet also be aware of the problems they posed in the lives of followers. Today these teachings, decontextualized, often appear out of step, particularly with regard to sexuality and popular culture. While continuing to value and champion my mother as a religious “genius” and innovator, I cannot be blind to the difficulties with her work. But I also think it is important to view her work in historical context, and the teachings from earlier groups which had already been adopted by my father and his early students before she joined them. I provide this information as a service, hoping to help people make informed choices about their religious and spiritual lives. There is much that I love and value about the community which raised me, and my purpose in sharing this information is to promote the development of better community organization and governance, so that both Church Universal and Triumphant (founded in 1975) and its sister organization The Summit Lighthouse (founded in 1958), along with other religious and spiritual groups can have the benefit of learning from my experience and that of the many thousands of people who participated with great hope in the unique experiment in community begun by my parents. The article linked to below is taken from a 2009 book called Sacred Schisms. It provides background on the power struggle that occurred within Church Universal and Triumphant during and after the announcement of my mother's illness. It may be of interest to those concerned with the church itself, as well as with how churches in general handle transitions of authority. The authors, Susan Palmer and Mike Abravanel, provide useful background. There are some lacunae in the discussion which could be elaborated upon in the future as additional information becomes available.